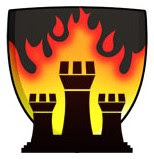 Through the generosity of the North American Chess Association, this year's Illinois Class Championships on December 12 will be a fundraiser for the Chicago Blaze. Please come and play and help us build a team that can compete for the U.S. Chess League Championship. We can't do it without the help and support of the whole Chicago and Illinois chess community. Details below. And here is a flyer you can print out and tack up on the fridge. EF: $40 by 6pm 12/11, $60 onsite. Play Up 1 Class for $10. Re‐entry with 1/2pt bye in Rd 1 for $20. Only 2 byes allowed. Last round bye must commit by start of Rd 2. Rds: 10, 12:30, 3, 5:30. Online registration available at: http://www.nachess.org/ilclass. ICA and USCF membership required. Questions via email only: info@nachess.org . No smoking. Dec 2009 Supplement used. All profits from this event will be donated to the Chicago Blaze, the team that represents Illinois in the US Chess League.